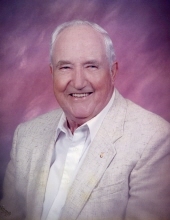 Isaac Jackson “Jack” Moran, age 91 years, a resident of Elkins, WV departed this life Saturday morning, March 30, 2019 at the Davis Medical Center at Elkins, WV surrounded by family and under the care of WV Caring. He had been in declining health for the past year. He was born Friday, October 21, 1927 at Tucker County, WV a son of the late John Harvey and Ina Phares Moran. On July 27, 1947 at Elkins, WV he was married to the former Goldie Ruth Shaffer Moran, who preceded him in death May 12, 2003. They had celebrated fifty-five years of marriage. Surviving are three sons, Allen J. Moran and wife Pamela of Point Pleasant, Michael R. Moran and wife Joyce of Elkins, and David L. Moran and wife Cathy of Elkins; one sister in law, Lorraine Moran of Elkins; seven grandchildren, Timothy and wife Whitney, James, Lori and husband Jason, Linda and husband Ben, Lindsay and husband Calen, John, and Heather and husband Jacob; and four great grandchildren, Walker, Lillie, Isaac, and Hannah. He was the last surviving member of his immediate family. Preceding him in death are two brothers, John Harvey Moran, Jr., and Ray Moran; and one sister, Faye Moran. He was a graduate of Elkins High School with the Class of 1945. He drove the last horse-drawn milk wagon in Elkins and later worked for the C & P Telephone Company retiring in 1982 with thirty-five years of service. He enjoyed hunting and fishing and was an avid CB radio fan. Jack wrote poetry and had several poems published. He was a member of the Wayside United Methodist Church at Poe Run and also sang in the choir. He enjoyed spending his spare time at the camp on Lower Cheat and loved spending time with his grandchildren and great grandchildren. The family would like to express their thanks to the staff of the Elkins Rehabilitation & Care Center for the excellent care that was provided to our father Jack. Washington, DC 20090-7251 www.gideons.org, or to Warriors in the Field LTD, P. O. Box 1183, Elkins, WV 2624 www.warriorsinthefield.org, or to Wayside United Methodist Church, 811 Isner Creek Road, Elkins, WV 26241. To send flowers or a remembrance gift to the family of Isaac Jackson "Jack" Moran, please visit our Tribute Store. "Email Address" would like to share the life celebration of Isaac Jackson "Jack" Moran. Click on the "link" to go to share a favorite memory or leave a condolence message for the family.